For over two decades, various industry sectors have been reaping the benefits of L&T''s cost-effective, performance-oriented AC Drive solutions. Leveraging our experience and domain expertise and backed by our commitment, our new range of AC Drives is poised to add value to Indian industries in various applications, such as processing, textile, plastic, ceramic, pharmaceutical, elevator, cranes, oil & gas, power, cement, material-handling and many more. Compact, lightweight, easy to install, operate and service – the L&T Cx2000 AC Drive is perfectly suited for conveyors, pumps, fans and textile machinery. It handles loads up to 11 kW, and is engineered to keep your machine operating at optimum efficiency, even in the hot, humid and dusty conditions that characterise India's industrial environment. Heavy duty operation: 150% of rated current for 60 sec. Normal duty operation: 110% of rated current for 60 sec. Possible to add reference from keypad and external signal. Provides external potentiometer for easier frequency control. 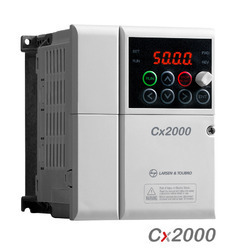 Cx2000 has built-in PID which saves use of external PID. 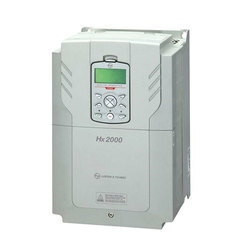 For isolated operation of motors one VFD can be used in place of 2. The L&T Sx2000 AC Drive is built to deliver powerful performance. It handles loads up to 75 kW (HD) / 90 kW (ND) making it perfect for compressors, conveyors, machine tools elevators textiles fans, pumps plastic extruders wire drawings etc. 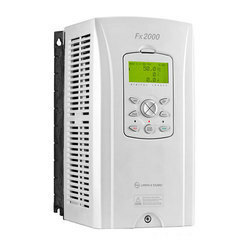 The L&T Fx2000 AC Drive generates powerful performance and meets your precise needs through several features: superior V/F control, V/F PG, slip compensation and Sensorless vector control as well as closed-loop vector control.It has a user-friendly interface and environment-friendly features, including a wide graphic LCD keypad, user and macro-group support, electro-thermal functions for motor protection, and protection for input/output phase loss.The Fx2000 is perfectly suited for the toughest, most complex applications – cranes, plastic winders, high-speed elevators, cement kilns, crushers and many more.It handles loads up to 375 kW - HD / 450 kW - ND, and is engineered to keep your machine operating at optimum efficiency, even in the hot, humid and dusty conditions that characterize India's industrial environment. 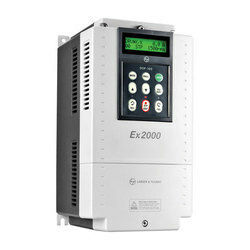 The L&T Lx2000 AC Drive is designed specifically to add power to elevator performance. 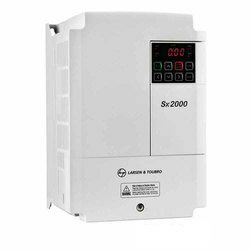 Built to L&T’s stringent quality standards, the Lx2000 is tested and certified to meet global benchmarks, thus giving you the assurance of total reliability.It handles loads up to 22kW, and is engineered to keep your elevator operating at optimum efficiency, even in the hot, humid and dusty conditions that characterise India’s industrial environment. L&T Hx2000 AC Drive sets the standard for the drive industry by introducing Innovative Energy Reduction, Environment friendly & HVAC System incorporates the outstanding energy savings benefits of the Hx2000 for Fans & Pump application. 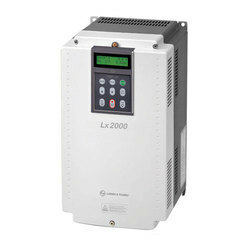 L&T Ex2000 AC Drive is perfectly suited for fan and pump applications. It can handle loads up to 450 kW, and is engineered to keep your machine operating at optimum efficiency – even in the hot, humid and dusty conditions that characterize India's industrial environment. It has features that save energy and cost, and is easy to operate.